As well as the coastal waters around Lisbon, Cascais and Estoril, Portugal has coastline stretching for nearly 1,000 Km from the Algarve to Viana do Castelo near the borders with Spain. There is plenty for the yachting enthusiast to explore off the mainland, not forgetting the islands of Madeira and the Azores in the Atlantic Ocean for more experienced sailors. For expert information and advice about buying or selling boats and yachts in Portugal contact one of our experienced advisers who will be happy to assist you. 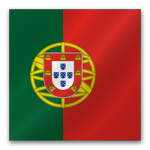 Below is the current list of boats for sale in Portugal that are available to our network. Cargo Vessel and Dredger for sale Reduced from €2m to €1.2m for quick sale..
ESPECTACULAR AZIMUT 50. THE BEST 50 ON THE MARKET..
Boat in perfect conditions as new ready for the season.... More information can be sent by request..